I’ve been on a galette streak lately (ref: cherry and dark chocolate galettes). Right now I like them even better than pies: they are easier to make, are just as delicious, and somehow manage to look rustic AND fancy. 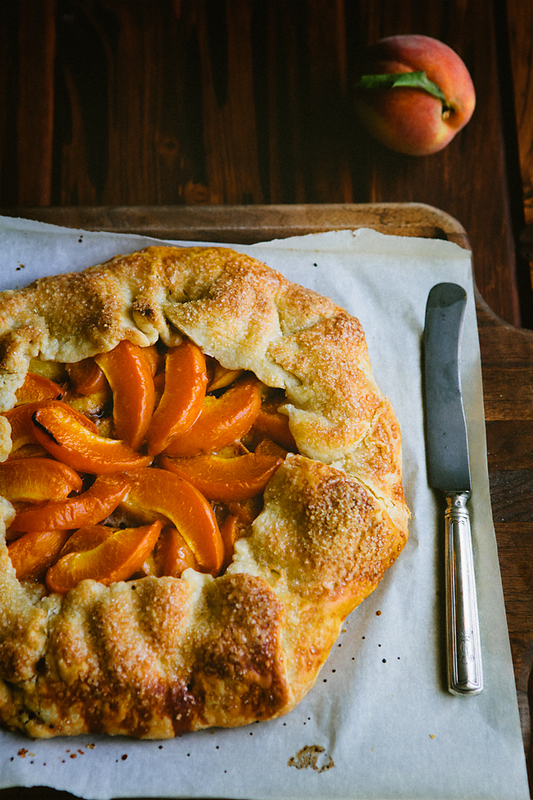 So some of those gorgeous Texas peaches went into this galette. Which must be eaten warm, the same day it is baked, with vanilla ice cream. In the company of good friends. I have apricots layered on top for attractiveness but they are not strictly necessary. 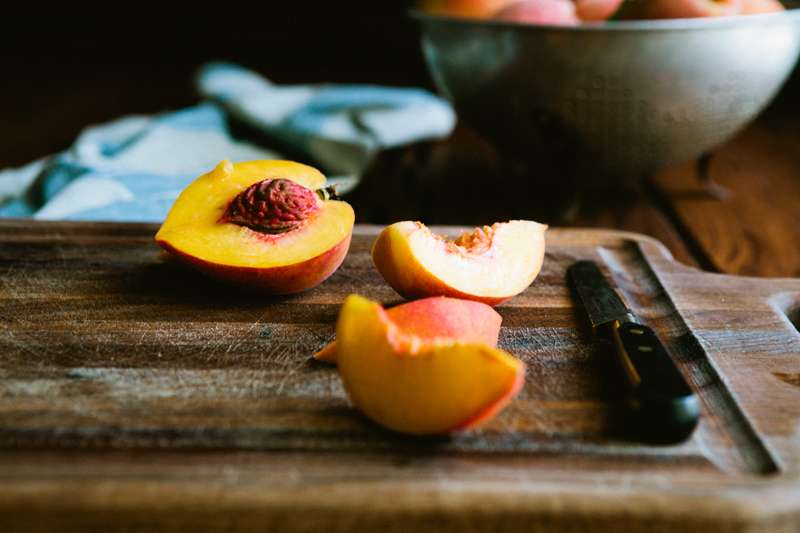 In fact, you can use all peaches instead of apricots. And as always, store bought pie crust works... although home made one is so much better. Divide butter into 5 and 3 tablespoons. Cut into 1/2 in cubes. Freeze the smaller portion; refrigerate the rest for half an hour. Put flour, salt and baking powder in a large Ziploc bag and also freeze for half an hour. Pulse the flour mixture in the processor to mix (do not discard the bag). Add the refrigerated butter and process for about 20 seconds, until crumbly. Add frozen butter and pulse, until pea-size pieces form. Add cream and pulse about 6 times, until dough holds shape if pressed between fingers. Place the dough in the bag and knead a few times, until it holds shape. Divide into 4 pieces, shape each one into a disk and refrigerate for at least one hour and up to 24 hours. Preheat oven to 400F. Cover a cookie sheet with parchment paper. 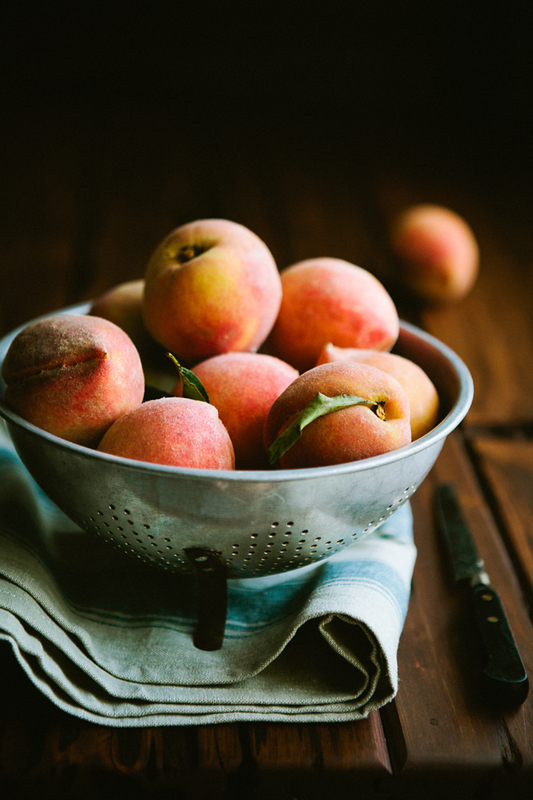 In a medium bowl, toss peaches with sugar, cornstarch, cinnamon and nutmeg, taking care not to crush the fruit. Roll dough into circle about 12 inches in diameter. Layer the peach filling evenly on top, leaving about 2 inches from the edges. Place apricot segments on top in a pleasing pattern. Dot with butter, sprinkle with 1 tablespoon raw sugar. Shape into galette, pinching the sides up and leaving a large opening in the center (see photo). Lightly whisk egg white and milk, brush the top of the crust and sprinkle with raw sugar. Bake for about 35 min, until golden. 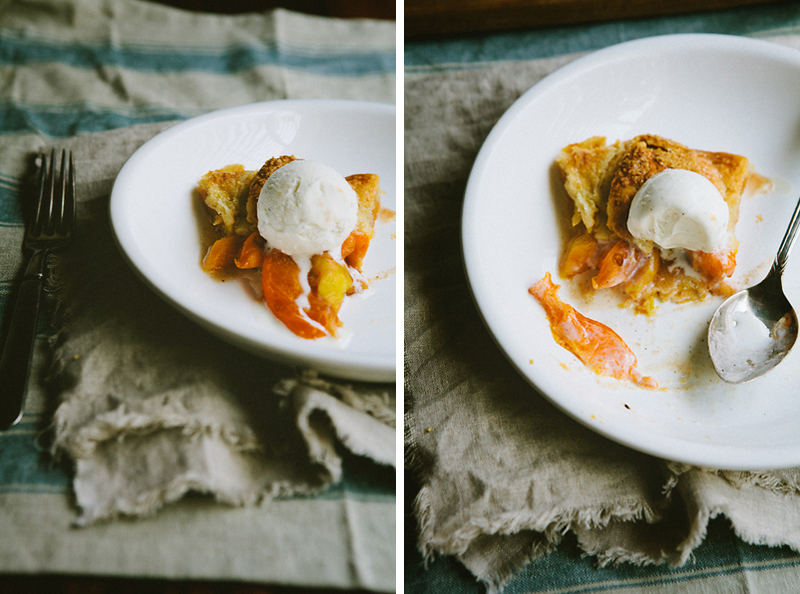 The galette tastes best when eaten warm with vanilla ice cream. I'm really excited to make this! It looks great. Wow..your photos is mesmerizing.. I love the first pic so much..blown me away.. I'll try this recipe..absolutely.. love your space! what a delicious galette! I love galettes of all kinds, they're so rustic and delicious. and what a wonderful blog! My boyfriend is from Texas and I'm from Spain, and I understand the European mix with the Texan, very well! So pretty! This looks like the absolute perfect use for summer fruit. Doesn't it? So quick; if you have some fruit that you want to use quickly, this is the way to do it. Gorgeous, gorgeous, gorgeous! I love the rustic feel of the tart. Happy to have found your blog! Thank you! I'm having so much fun blogging, you guys are so supportive with your comments. 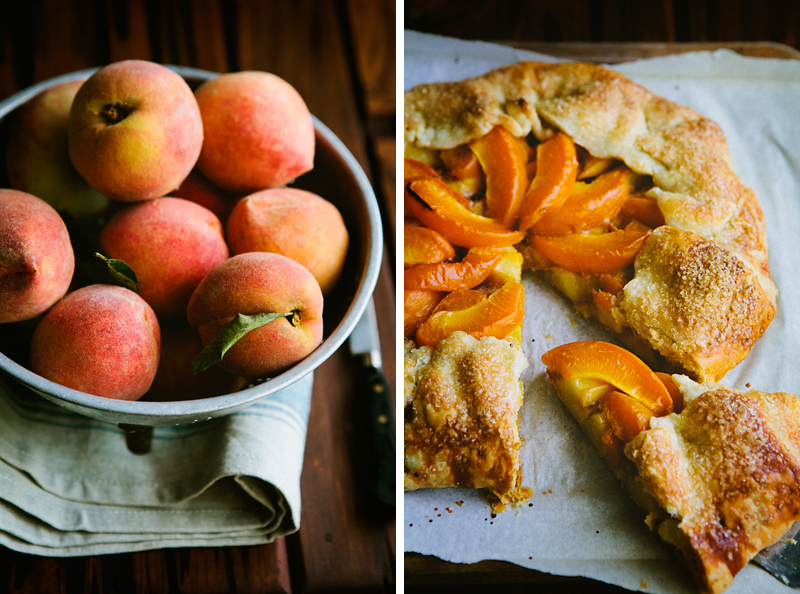 Peaches and apricots are two of my favorite fruits and I feel like they always turn out so well in baked goods. 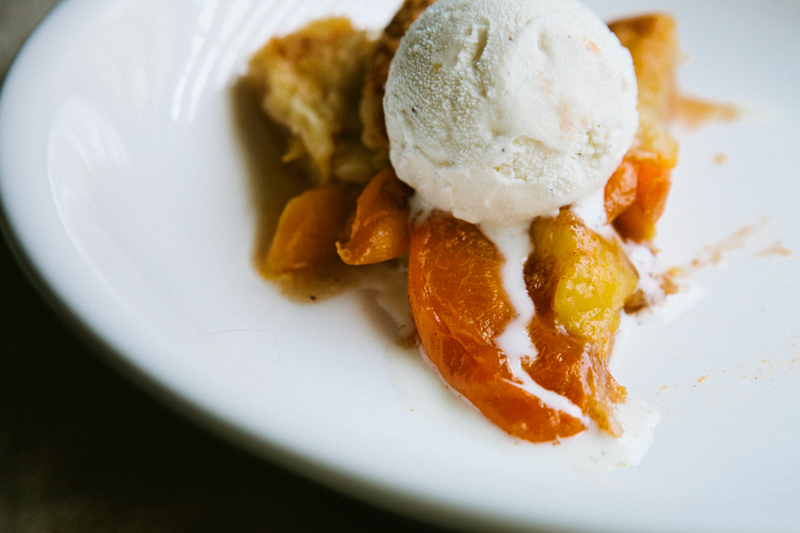 Your galette looks perfect and with that scoop of ice cream on top, you've got my mouth watering! Thanks Jullia. Peaches and apricots are my favorites too. I haven't been consistently lucky with apricots though... But they're good in baking. I'm so glad to have discovered your blog, your photos are absolutely stunning! I can't wait to explore your other posts. 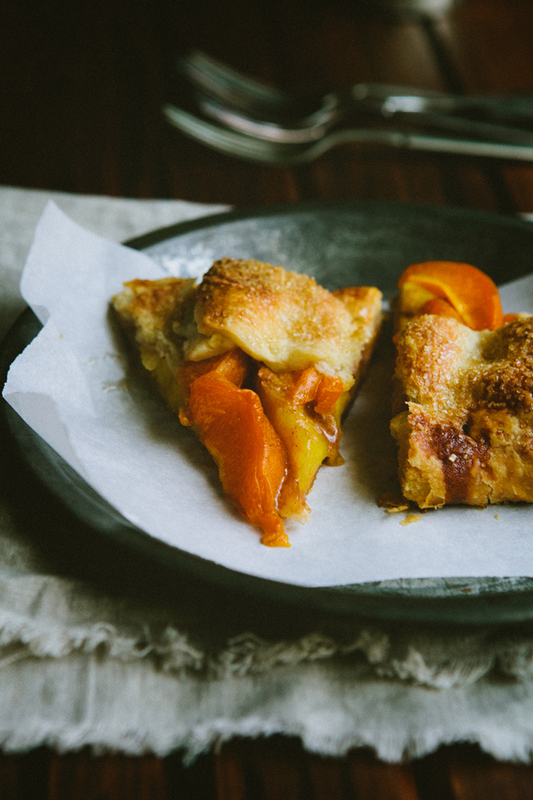 This galette looks delicious, I love how you've brought out the texture of the crust and the color of the peaches in the photos. I'm your newest follower! Thank you Sue. I appreciate you taking the time to write a nice comment :-) .